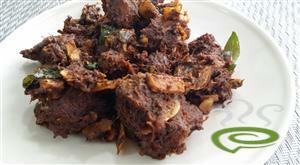 Beef Varattiyathu – Kuttanadan Beef Roast is a traditional beef dish cooked in Kuttanadan style. Geographically Kuttanad is termed the Rice Bowl of Kerala. The lush paddy fields and backwaters will leave you spell bound. You will find a well cited Kuttanadan Beef Roast dish here. To achieve an authentic taste and flavour, only natural masalas are used in Kuttanadan Beef Roast. Thinly sliced red meat is cooked with pepper and essential ingredients in a pressure cooker. Do not overcook, needs meat to be bit chewy. In a thick bottomed vessel, heat coconut oil and fry coconut slices, ginger, garlic, ground masala powders and other ingredients. Stir in cooked meat with gravy and keep roasting in low medium flame until beef pieces are coated well with the spicy fragrant mixture. Enjoy Kuttanadan Beef Roast with loved ones. Pepper Beef Fry is a unique and spicy favorite in Kerala cuisine. 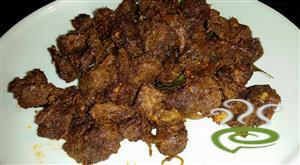 During parties and special occasions Pepper Beef Fry is usually spotted. Fried beef pieces blended in a peppery flavored coating, and randomly strewn fried coconut slices, makes the dish simply exquisite. 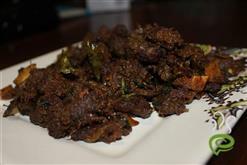 Pepper Beef Fry goes well with wheat and a variety of rice dishes as well. Street vendors sell Parotta with Pepper Beef Fry which is a hot Thattukada dish both among young as well as old alike. Beef pieces are pressure cooked in a spicy masala mixture and later fried or roasted with coconut slices and other ingredients. Now let’s see how to make Pepper Beef Fry, an easy to prepare dish. Enjoy the dish. 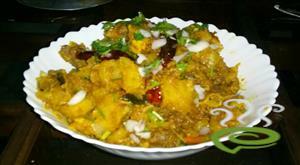 Beef Varattiyathu is a delicious signature dish of Malayalee population. Cubed red meat is slow roasted with essential spices and the flavor is indeed awesome. 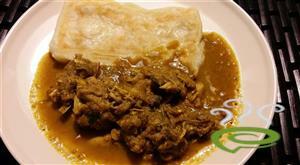 Beef Varattiyathu blends well with chappathy, porotta and rice dishes as well. Beef pieces are pressure cooked with a pinch of turmeric and garam masala. Cooked beef is sautéed with onion, ginger, spices and gradually slow roasted until beef is browned. Beef pieces will be coated with thick masala gravy and oil will be separated. The finger licking traditional styled Beef Varattiyathu is worth a try. Enjoy the dish. Beef Roast prepared in Kerala Style is a traditional dish where cubed red meat is cooked and roasted with natural herbs and spices. Beef Roast in Kerala Style is a classic signature dish of Malayalee population. A fast moving dish with street vendors, Beef Roast pairs well with porotta, chappathy and a series of rice dishes as well. Beef Roast Kerala Style is a traditional favorite that blends well with plain rice and yogurt too. Cubed beef pieces are mixed with a spicy ginger garlic mixture and cooked in a pressure cooker until meat is soft and done. Cooked meat is then slow roasted in a hot kadai blending with chilly powder, tomato paste and other spicy ingredients. Beef is slow roasted until meat is browned and oil has separated. Try the delicious Beef Roast. Dry Beef prepared in Malabar style is a delicious non-vegetarian favourite of North Kerala. The hot and spicy accompaniment of cubed beef cooked in aromatic spices and sautéed with coconut slices is simply irresistible. Restaurants sell Parotta with Malabar Style Dry Beef which is a hot Thattukada dish both among young as well as old alike. The dry beef dish can be served with both appam and dosas too. Raw beef pieces are marinated in a ground masala mixture and cooked until done. Cooked beef pieces are sautéed with sliced small onions and other spicy ingredients. The authentic flavour and taste of the natural spices makes Malabar Style Beef Fry simply special. Try the well illustrated Malabar Style Beef Fry today itself and enjoy.